On January 11, Pu Zhiqiang (浦志强) celebrated his 50th birthday behind bars. It’s impossible to know what emotions Pu, a lawyer known for his deft and candid style, was feeling on that day. But many of his supporters, including lawyers, legal scholars and media professionals, took to social media to wish him happy birthday — a uniquely Chinese form of collective resistance. Just one of the posts made to Weibo that day prompted 2,300 shares, and more than 500 comments. Pu Zhiqiang is featured on the cover of Guangzhou’s Southern People Weekly in January 2013. It was He Weifang who spoke out fearlessly in 2011 to defend another wronged lawyer, Li Zhuang (李庄), who was falsely accused by authorities in Chongqing (then under the rule of the princeling Bo Xilai) of inciting his client to false testimony. In a forcefully worded blog post at the time, “For the Sake of Rule of Law, For the Sake of that Thread of Rationality in Our Hearts,” He Weifang criticized the wrongs committed in the name of Bo Xilai’s “Singing Red and Striking Black” (唱红打黑) campaign, and how members of the Chongqing legal community had stood idly by as judicial independence was trampled and criminality became the law. The arrest and expedient trial of Beijing lawyer Li Zhuang shocked the legal community in China at the time. The eventual fall of Bo Xilai in one of China’s most high-profile corruption cases ever was applauded by the same legal community. What no one had predicted was that rights defense lawyers in China would fare even worse under President Xi Jinping, and that the media would likewise be put in a chokehold. However one chooses to view it — in terms of the degree of repression involved, or in terms of the absurdity of the charges — the Pu Zhiqiang case today is far more shocking than the Li Zhuang case ever was in Bo Xilai’s Chongqing. 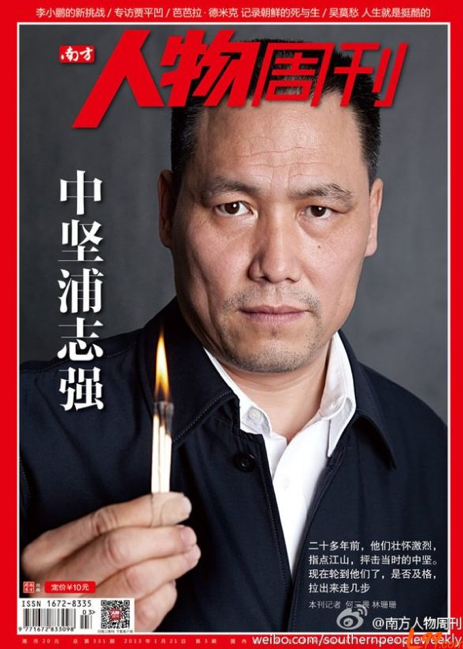 Pu Zhiqiang, who through skillful debate, ingenuity and drama, defended the likes of Tan Zuoren (谭作人) and Ai Weiwei (艾未未), is now locked up behind bars, incriminated by his own words (因言获罪). What we should find especially concerning is that Pu Zhiqiang’s own defense lawyer, Qu Zhenhong (屈振红) has also been detained. This being the case, it’s difficult to imagine anyone else daring to step forward to defend this defender. It took courage enough in the present climate to extend birthday wishes to Pu Zhiqiang on Weibo. The Pu Zhiqiang case is a classic case of speech repression. Among the four crimes listed are the “crime of provocation” (寻衅滋事罪), the “crime of inciting racial hatred” (煽动民族仇恨罪), and the “crime of inciting separatism” (煽动分裂国家罪). These charges rely solely on 30 or so posts made on Chinese social media. The last accusation is for the “crime of illegally obtaining the personal information of citizens” (非法获取公民信息罪). This refers to research Pu Zhiqiang conducted in cooperation with several well-known Chinese media, including Caijing magazine, Southern Weekly and The Beijing News. This too is ultimately about freedom of speech, the question that has most exercised Pu Zhiqiang throughout his legal career. When you look at the list of recent political prisoners in China, perhaps all of these cases involve incrimination through speech (因言获罪). There few if any instances of activities extending beyond the acts of speech themselves — no setting up of organizations or planning of social movements. Each and every case stopped far short of that. Viewpoints posted on Weibo. Articles written. And these bring serious consequences. I’m not sure whether this is Chen’s opinion on the case, or whether he is being strategic about it — to suggest, that is, that senior leaders may not have wished for this. But I think, in any case, that this is a serious underestimation of the capacity for control that central Party leaders have, and particularly of the iron-fisted ways of Xi Jinping, China’s “striker of tigers.” It may be true that President Xi does not know the ins and outs of each individual case. Nevertheless, I believe those pursuing such cases down below have a pretty clear idea of the leadership’s intentions. I don’t doubt that Xi Jinping has set the tone. There is one thing we can be sure of. If the case against Pu Zhiqiang does lead to a conviction, this will cast a very long shadow over the legal community and over speech in China. 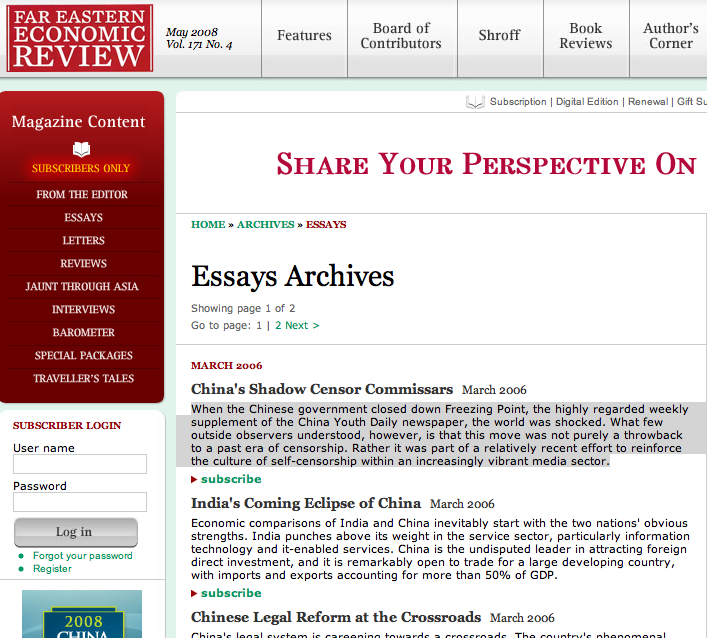 This article was originally published in Chinese at Deutsche Welle. PreviousWho gave “judicial independence” a death sentence?